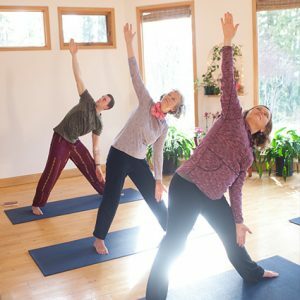 Yasodhara Ashram-trained teachers work from their experience and rely on their own foundation of yoga to guide and inspire others. We aim to build this foundation in all of our teachers. Our goal is to promote instruction of the highest quality and encourage an experiential approach to yoga. Each of our certified teachers is committed to living the teachings of yoga and bringing forth the best in their students. We encourage our trained teachers to approach teaching yoga as an offering. Whether you are new to teaching or a teacher with years of experience, these courses will renew and strengthen your foundation. Come together with other teachers to go in-depth in your own work and to refine your teaching skills. The three-month YDC is the prerequisite for all of our teacher training and certifications. Includes 675 hours of practice, study and instruction in the major branches of yoga. Following the YDC we offer a ten-day certification to teach Hatha Yoga. This course offers basic training in Hatha Yoga teaching, and helps to transform your personal learnings from the YDC into teachings you can share. 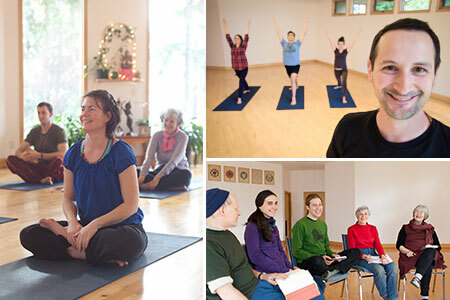 Learn what it means to teach from your experience through our intensive fourteen-day Hidden Language training process, and gain greater appreciation of the body as a spiritual tool. Prerequisites: The Yoga Development Course and completion of the YDC book report project. Join a lineage of teachers. Find out more about our spiritual lineage.